Based on more than 40 years of bar code printing innovations, the PC42t desktop printer sets new standards for user-friendliness and affordability. Easy to install and ready to print quickly, the streamlined PC42t is an economical choice for media up too 4.3” wide. 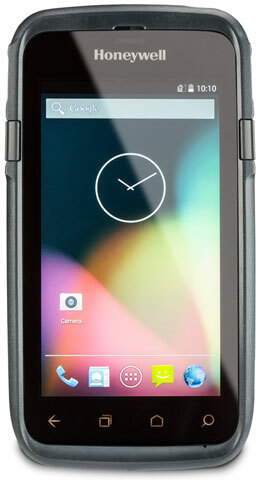 The Honeywell PC42t supports a wide range of media and features a quick-opening design for easy media replenishment. Designed to print up to 1000 label a day, the PC42t’s quiet, reliable operation and intuitive design make it the perfect fir for light-duty labeling applications in a variety of industries. Healthcare professionals have a noble but challenging occupation – taking proper care of patients while juggling administrative duties critical to positive patient outcomes. So, when it comes to providing patient care and comfort, settling for anything but the best isn’t an option. That’s why Zebra is introducing the DS8100-HC (Healthcare) Series: a difference-making imager purpose-built to assist healthcare professionals with improving the quality and efficiency of patient care. The DS8100-HC Series combines performance, adaptability, and manageability so healthcare professionals can perform their data capture tasks accurately and more productively without disturbing their patients. From medication administration to specimen collection, admitting and inventory and dietary management, the DS8100-HC Series is the ideal solution to enhance patient safety, the productivity of staff members and the efficiency of point-of-care operations. The County of Greenwood (South Carolina) Sheriff’s Department is to provide for the safety and protection of the citizens and businesses of Greenwood County through proven full service law enforcement practices, including both reactive and proactive responses to criminal activity, to ensure that public interests and constitutionally guaranteed liberties are protected and that the judicial process is followed according to law. In order to provide the best data to their patrol officers, they needed a way to scan a driver’s license and look up any associated records from out in the field. 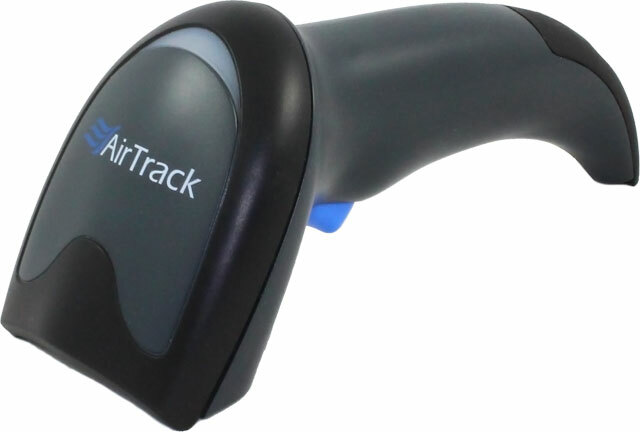 Barcodes, Inc. recommended the AirTrack S2 to scan the 2D barcodes off of driver’s licenses. The S2 is a fast, precise and nimble barcode scanner that offers omnidirectional reading and is rugged enough to withstand repeated drops from 5 feet to concrete. Since most driver’s licenses are equipped with both 1D and 2D barcodes, the S2 is ideal for its ability to read both symbologies. Additionally, the S2 can be configured to parse specific driver’s license information based on what data the patrol office wants to capture (i.e. name, driver’s license number, address, birthdate, etc.). The data is then parsed into the department’s software program to look up information on the individual, such as previous records, outstanding warrants, and other information. In order to protect their investment, the Sheriff’s department invested in AirTrack service contracts to protect their devices from defects and normal wear and tear. To learn more about AirTrack, our Government solutions, or driver’s license parsing, contact one of our representatives. Arguably the most common of form of ID, driver’s licenses are used any time we need to confirm who we are and more often than not, how old we are. If you take a look at the backside of your ID you’ll find a rectangular black and white pattern know as a PDF417 barcode. It may not look like your standard barcode but that PDF417 code contains all the information on the front of your ID in a single code. PDF417 is a type of 2D barcode that is capable of storing much more information than the standard 1D code you find on products at the grocery store. You may be familiar with QR Codes that you’ve scanned with your phone. Both are types of 2D codes that can be read with a 2D Imager barcode scanner. Many businesses are using the barcode on your ID and a 2D Imager like the AirTrack S2 to quickly verify your age or capture your basic info to make signing up for a service quicker. The only real snag with the barcode on your license is that every state doesn’t organize the information in the code the same way. The advantage here is that you cannot change the information in the barcode and to create a fake one requires knowing exactly how each state encodes the data. If the barcode isn’t created properly, it won’t read properly. With the AirTrack S2 scanner you can scan the code on the back of a driver’s licenses from any state to verify someone’s age quickly and accurately due to the scanner’s ability to parse all the data correctly for you. Since each state organizes the data differently the parsing software on the scanner outputs the data you need, in the order you need it, regardless of what state you are dealing with. It’s actually faster than looking at the ID. Given how simple it is to get up and running, not using a scanner for age verification/customer info just doesn’t add up anymore. With a simple scan you can completely avoid fraudulent ID usage and save your business from legal issues, errors, and lost revenue. The New York Unified Court System handles misdemeanors and lesser offenses. The Court also conducts arraignments and preliminary hearings for felonies across five boroughs of New York. Equally important is their responsibility to track documents, such as public records, criminal case records, and judgements. Losing records can have a major impact on criminal cases, as well as increase costs and time associated with having to re-try cases where records were misplaced. New York Courts was looking for a way to track documents in their repository and check those records in and out. 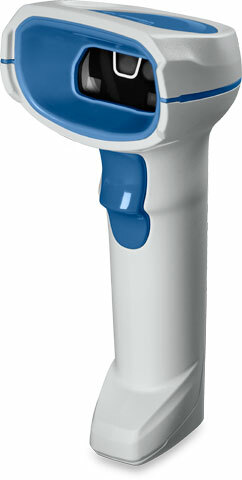 Barcodes, Inc. recommended the AirTrack S1 to scan the 1D barcodes that were labeled on each document. 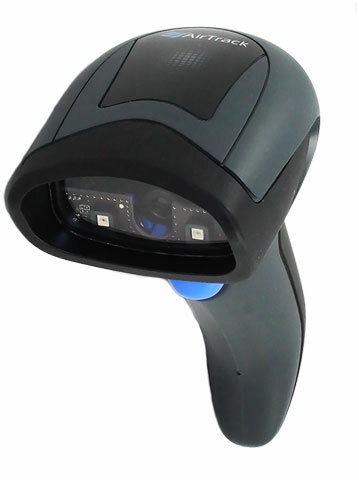 The S1 is a small, lightweight, and reliable 1D barcode scanner that is capable of withstanding repeated drops from 5 feet to concrete. It also comes equipped with a gooseneck stand that NY Courts found advantageous for their employees to conduct hands-free scanning. After testing the AirTrack S1 with their proprietary software, NY Courts found that for the price point, the scanner couldn’t be beat. 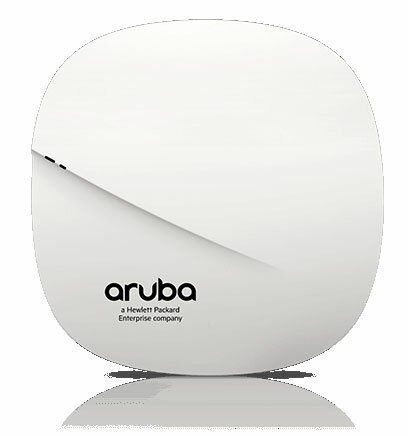 Therefore, they decided to roll out the AirTrack devices to all of their boroughs. Since implementing the solution, they have received positive feedback from their workers on the hands-free capability and ability to quickly find records, thus saving tens of hours each week. To learn more about AirTrack or our Government solutions, contact one of our representatives.